Last Thursday, 7 February, the global produce supplier, T&G Global, announced that Tony Fissette is going to retire. Fissette is Enzafruit's Director. Enzafruit is T&G Global's European subsidiary. According to T&G, Tony was a pioneer in the area of introducing top fruit from New Zealand in Europe. For the last 45 years, he has put his heart and soul into T&G Global. To thank Tony for his contribution, a retirement party was organized for him. It was held on 7 February in the upscale Hotel De Rome in Berlin, Germany. Tony's friends, family, and business partners were all present. Together, they enjoyed a four-course dinner. The Jazz and Envy apple varieties featured prominently in the dishes. “Tony was the superstar who introduced New Zealand apples to Europe", Klaus Josef Lutz, Director of the German company, BayWa, said during his speech. 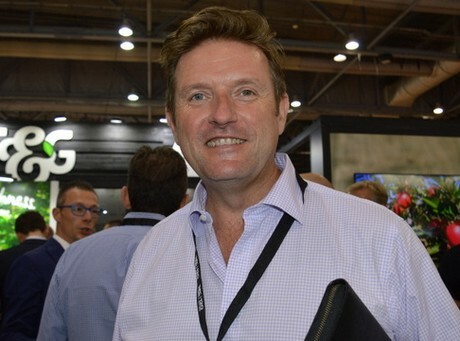 "In 2012, I spoke to Tony at Fruit Logistica. He told me not to worry about Europe; he had in under control. His way of communicating with the retailers and his achievements were excellent too. Thank you for your loyalty and your, sometimes, abrasive approach." T&G's Director, Gareth Edgecombe, thanked Tony for his unstoppable character and his passion for the sector. Last year, Tony and his team sold a record number of 10 million boxes of Jazz apples. Tony, himself, described his 45-year career as the best job in the world. He thoroughly enjoyed his job and thanked all his business contacts. He will retire for good in March to enjoy his freedom and family. Tony will be succeeded by Steve Maxwell. Steve is currently the Executive Director of Worldwide Fruit. Worldwide Fruit is a British subsidiary of T&G. Steve has more than 20 years of experience in the fruit sector. "I am unbelievably proud to be able to offer the world the best apples. We can supply an amazing assortment of varieties, including the Jazz and Envy," says Steve. "Our goal is to be able to supply a fantastic product and good service to our clients, year-round." Over the years, Tony has built an excellent team. Sales & Marketing will remain under Didier Groven's leadership. Finance & Operations will be run by Suzy Janssis. Both have been working at Enzafruit Continent for many years.